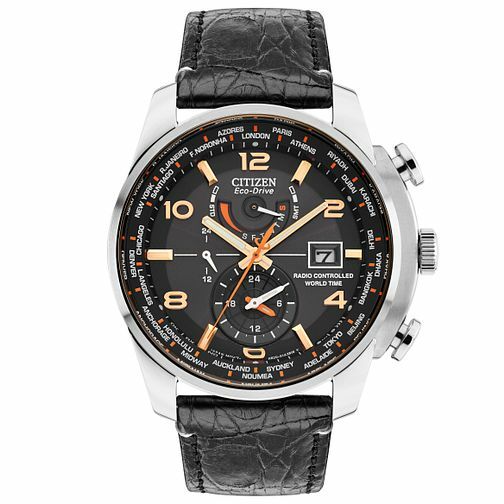 This limited edition watch from Citizen is powered by their innovative solar powered Eco-Drive technology. With atomic timekeeping, world time in 26 cities, and power reserve indicator. Styled with a black crocodile strap and stainless steel case, the blue chronograph dial is highlighted with accents of orange.